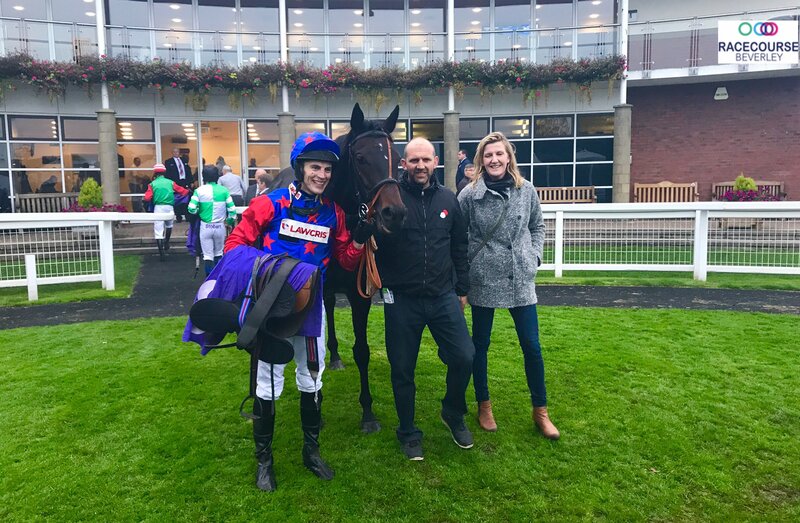 Our military amateur riders are an integral part of our membership and the names of Erica Bridge and Guy Disney should be familiar to everyone after their many exploits and successes at our annual Sandown military meetings. 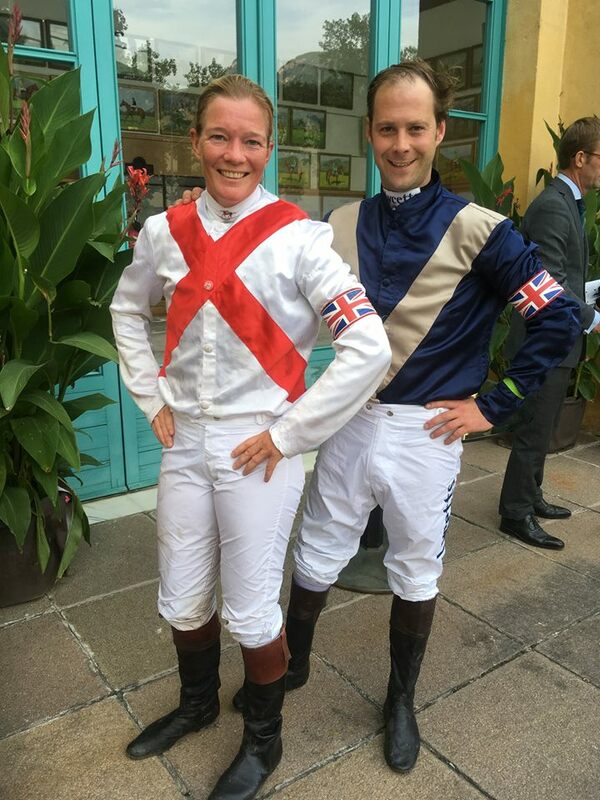 Both jockeys took to a different stage at the weekend when riding in Merano (Erica currently stationed in Italy) and congratulations to Erica on a valiant 4th place with Guy 7th. Two British military amateur riders rode in a 3300m Fegentri organised race over natural hedges at Merano in the South Tirol region of Italy yesterday (Sat 23 Sep). Captain Guy Disney flew in to partner Sareerah, a 4 year old filly trained by A. Bianco. 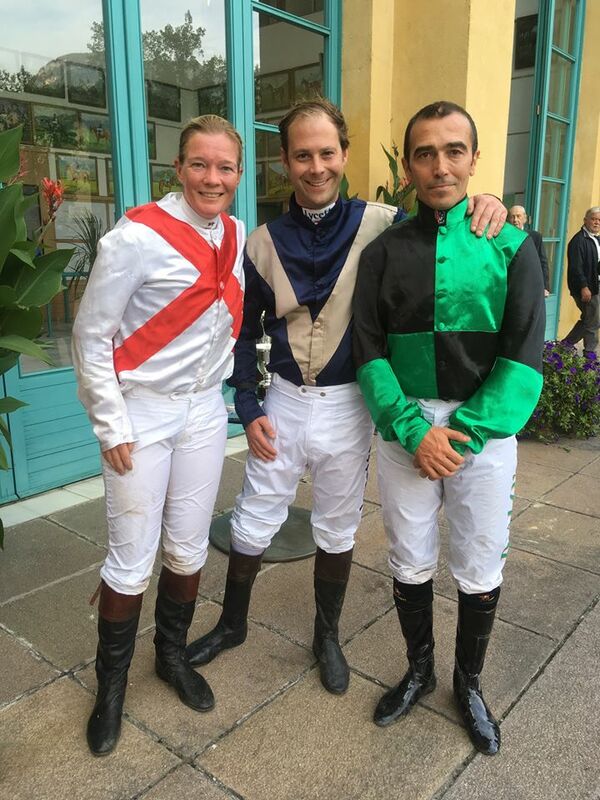 Lieutenant Colonel Erica Bridge, already based in northern Italy due to her husband’s NATO posting, rode Dalton, a 5 year old gelding trained by Ilenia Nero and ridden in the famous colours of the double Prix de l’Arc de Triomphe winner Ribot. The participation of the military riders was made possible due to the assistance of Merano racecourse and Major Domenico D’Alò. D’Alò is an Italian Signals officer who rode in the 2017 Grand Military Gold Cup and won the Annington Homes Queen Mother Memorial Hurdle Race for Nicky Henderson on Silverhowe at Sandown Park in March. Some of the best amateur riders in Europe were amongst the 12 in the line up, including the eventual winner on Relco Sud Ovest, Barbara Guenet, the leading French Lady Amateur rider and Riccardo Belluco, the leading Italian Amateur, who has already notched up 20 wins in the series so far this season with over €72.000 in prize money. 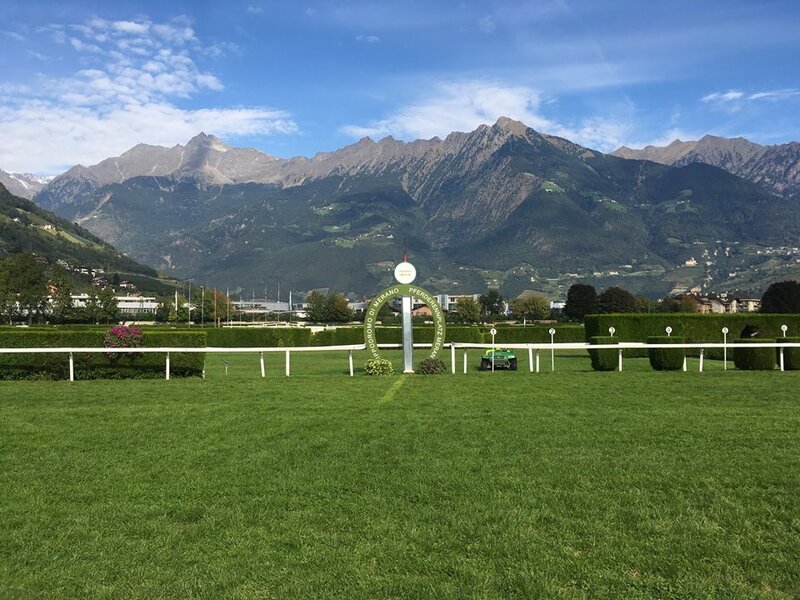 Merano has to be one of the most stunning racecourses around, surrounded by the Dolomites, with vineyards and Tyrolean villages nestled high up in the mountains. 3300m ‘siepi’ course is in a tight figure of 8, which demanded a fairly high standard of horsemanship and spatial awareness to negotiate the turns at speed. With one faller and a flying plank of wood from the base of one of the fences, it was not a race devoid of excitement. D’Alò managed to finish 2nd on Albina behind Relco Sud Ovest. Dalton quickened over the last for Bridge to finish well in 4th and Disney, whose instructions were to finish whatever happened, came home 7th. It was a great experience for the British military riders to race in Italy, particularly at such a big venue and on the first day of the two-day Gran Premio meeting. 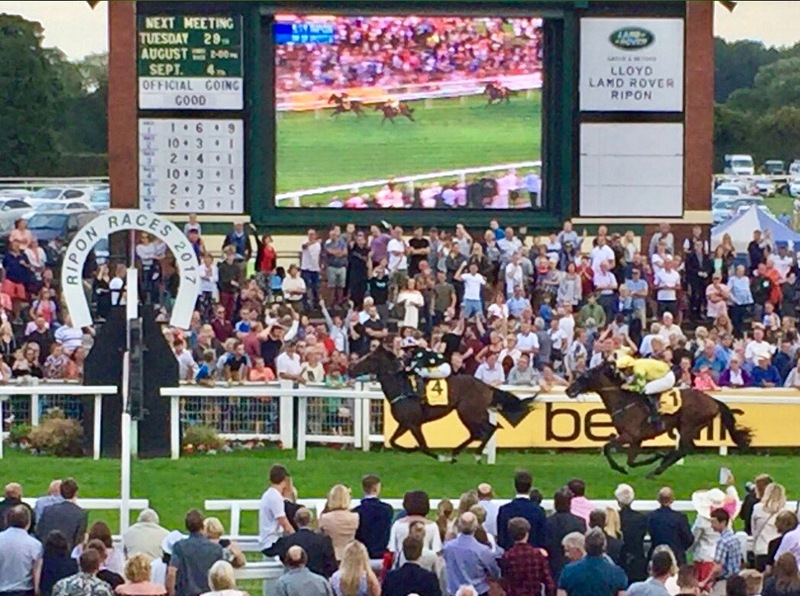 A dramatic day at Beverley yesterday with the Brian and Jason Merrington Memorial Handicap over 1m 2f divided. 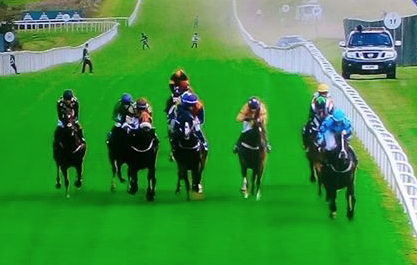 This was welcome news with September historically quiet for amateur flat races. 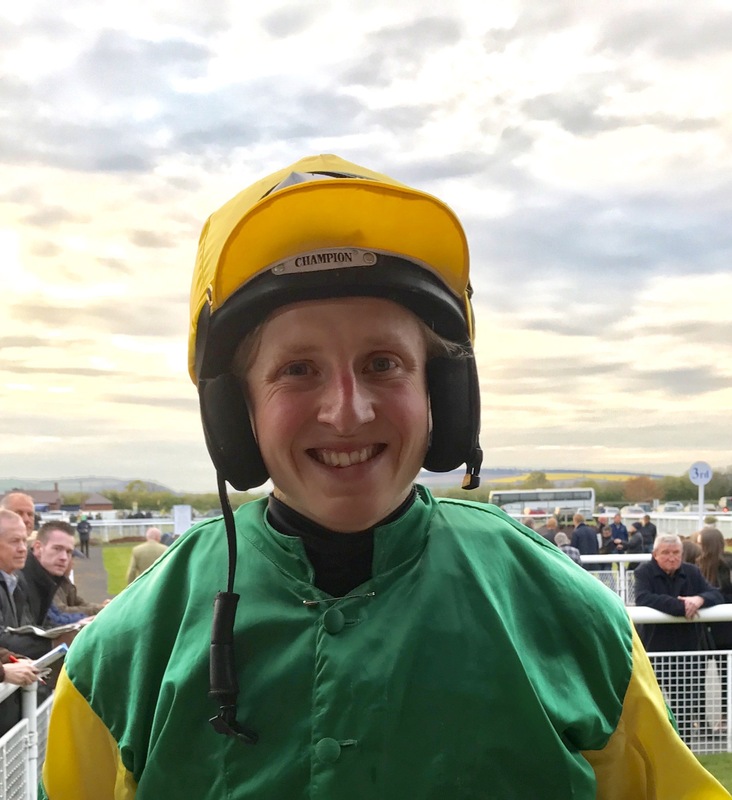 The first division saw 16 runners take part, with a dramatic exit from leading lady Jo Mason when Richard Gusts’s SAKHALIN STAR clipped heels when in touch about 3 furlongs from home and falling. 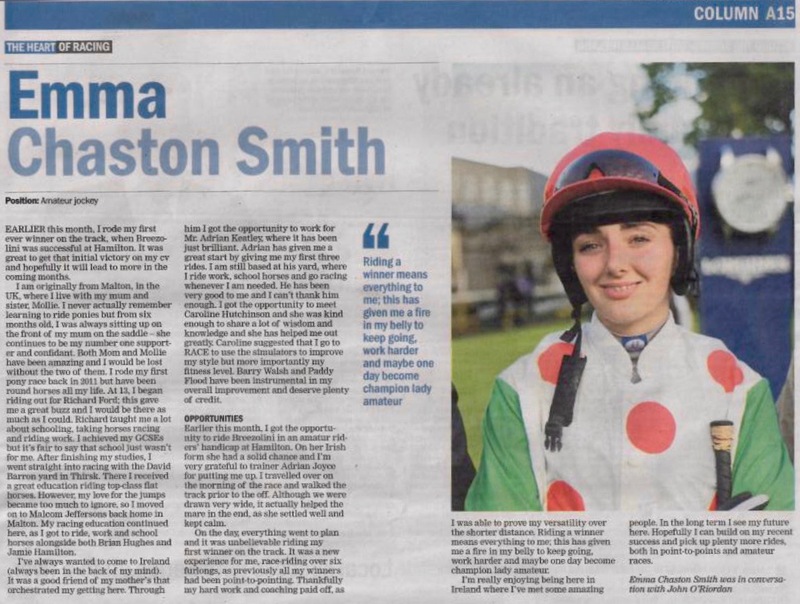 Thankfully Joanna was unscathed and passed the doctor to ride in the second division but it must have been painful for her to see her grandfather’s DECIMA driven clear by Pat Millman inside the final furlong to win by over 4 lengths from Emily Easterby on her father’s INSPECTOR NOSE with Becky Smith and ALMUNTHER 3/4 lengths away 3rd. 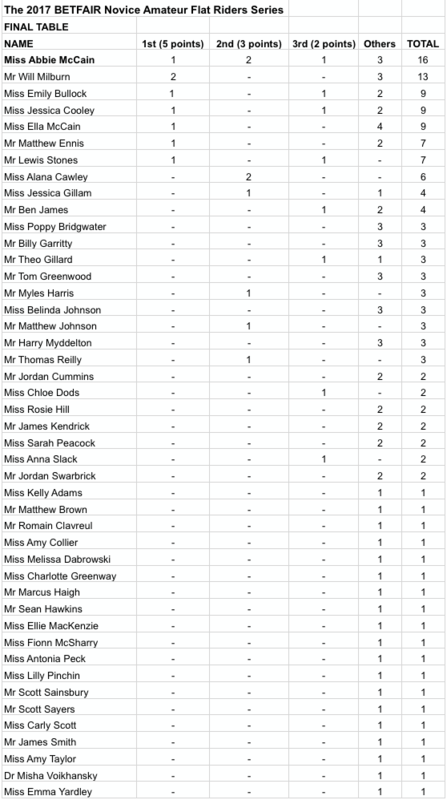 This win gave Pat his 5th of the season, 3 clear of his nearest rivals Ben James, Jamie Brace and reigning champion Simon Walker (all on 2 wins each). To underline his grip on this season’s gentleman’s championship, Pat made it a double on the night by partnering JOHN CAESAR in the second division of 14 runners for Becky Bastiman, driving his horse out to win by a length and a half and deny Bruce Lynn aboard Richard Fahey’s ROYAL COSMIC with Joanna Mason 3/4 length back in 3rd. Well done Pat on a great evening’s racing and a fantastic season so far! 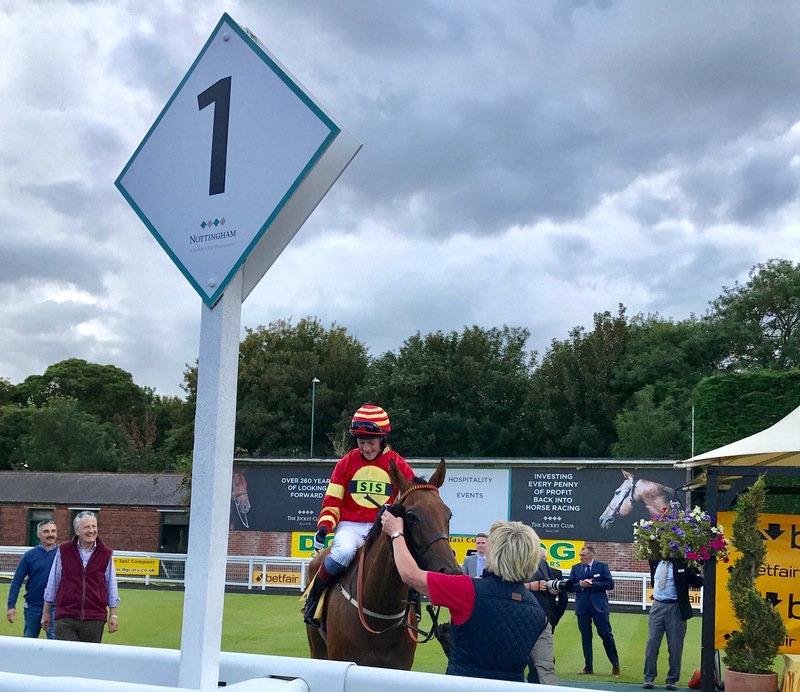 Congratulations too to all winning connections and many thanks to Beverley Racecourse and Sally Iggulden for their continued support of amateur racing this season. 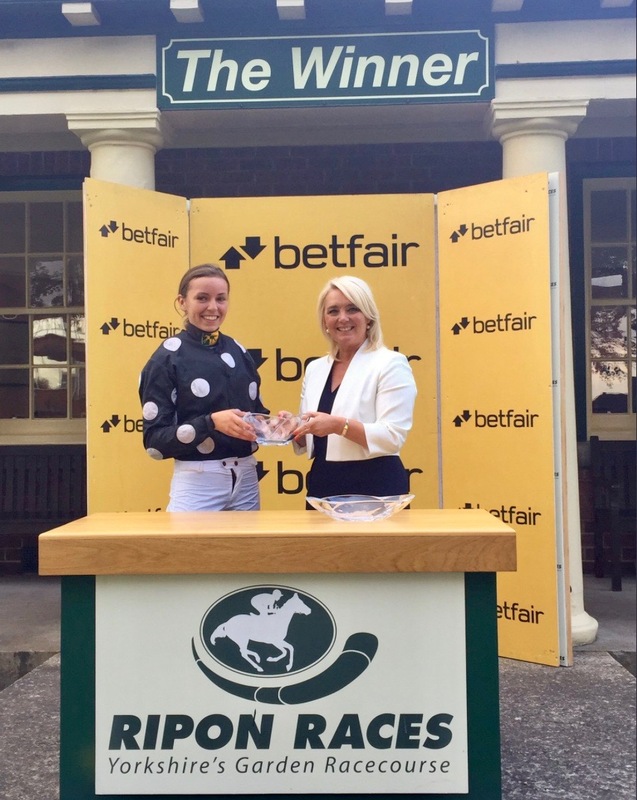 What has now become a feature for any amateur jockey who has no more than 3 wins under Rules as of 1st April of the current year is the Betfair Novice Amateur Riders Flat Series, now in its fifth consecutive year thanks to the loyal and generous support of Betfair. This series was instigated to help those amateurs who do not normally get many (if any) race riding opportunities through their lack of experience and/or success. Under the watchful eye of a Jockey Coach the participating jockeys attend a coursewalk prior to racing together with a full de-brief after weighing in and this series is very much seen as a training series for amateur jockeys to equip them for the future. Races have always been carefully selected so as not to encroach on any existing amateur race programming in order that more experienced amateur jockeys would not feel that any sacrifice had to be made on their part. This year the series began at Wolverhampton for the first time (replacing Windsor) and continued at Catterick, Leicester, Redcar, Thirsk, Nottingham, Carlisle and culminated at Ripon. Jockey coach Tim Reed offered his usual invaluable support, and whilst he was unfortunately and unexpectedly incapacitated we were most grateful to be able to call upon his jockey coach colleagues Kim Tinkler, Alex Greaves and John Bramhill. Many thanks to them all. 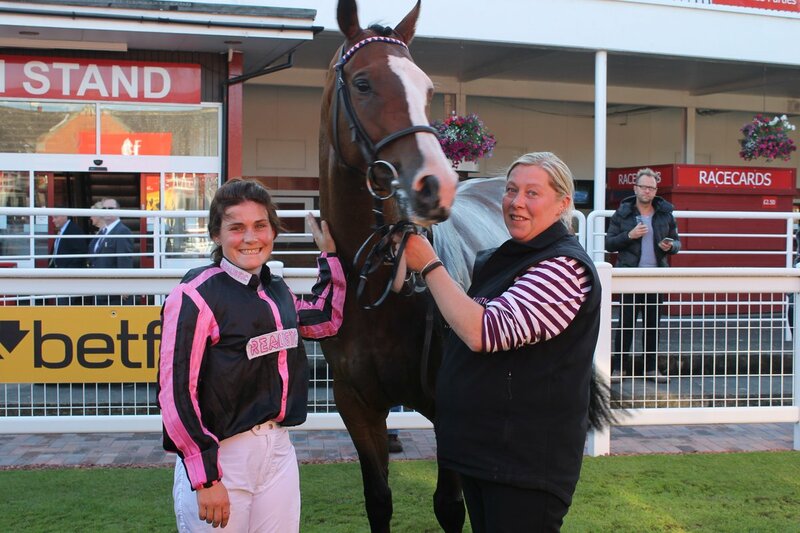 Huge congratulations to Abbie McCain on winning the Series after a flying start winning the 1st race in the series at Wolverhampton and following that up with two 2nds and a 3rd to give her a final series score of 16 points. 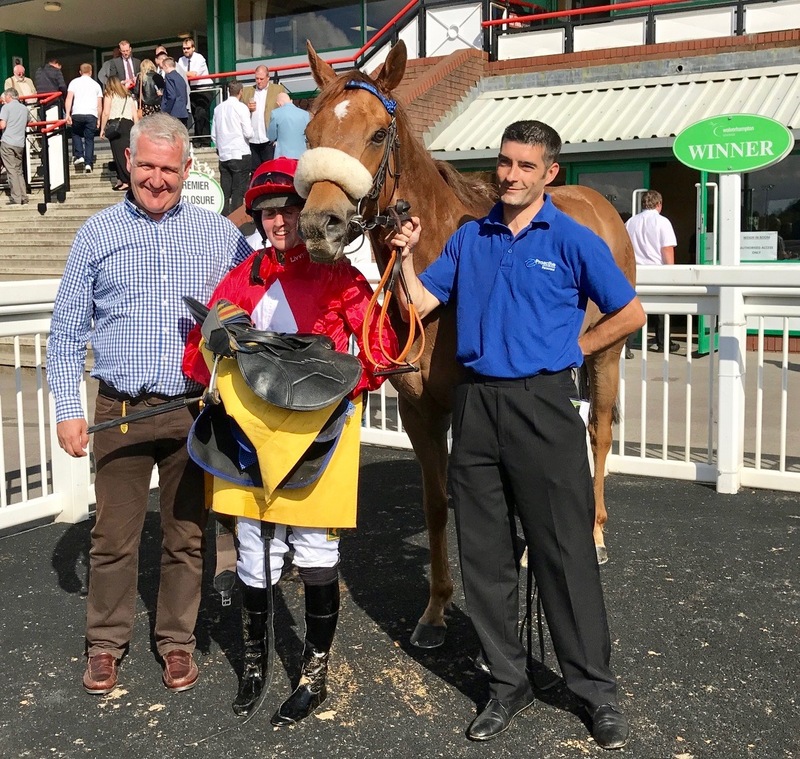 Many congratulations also to runner-up Will Milburn who enjoyed an incredible 2 wins in the series at Catterick and Leicester (the 2nd and 3rd races in the series) but without any placed rides thereafter was unable to catch Abbie. 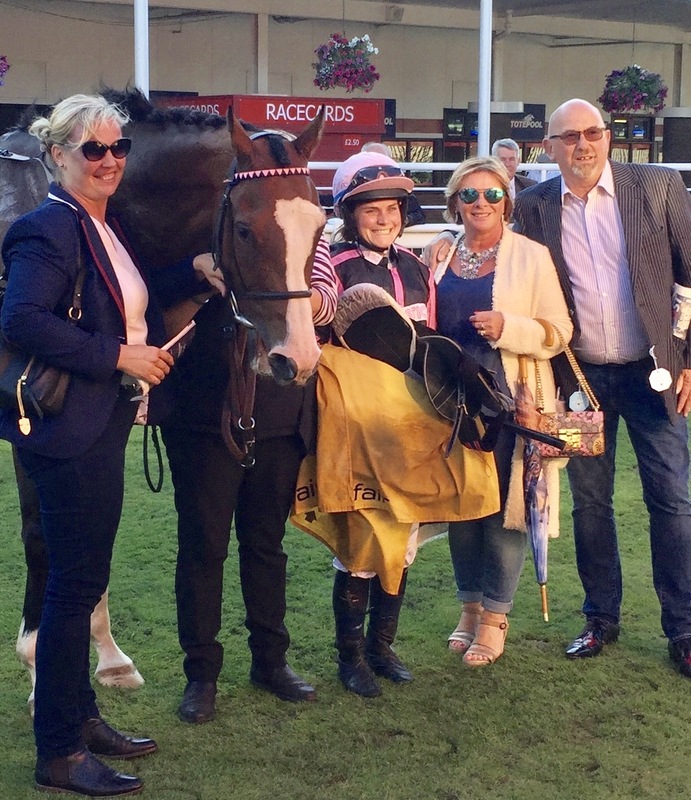 Others who enjoyed wins were Emily Bullock at Redcar, Ella McCain at Thirsk, Matt Ennis at Nottingham, Lewis Stones at Carlisle and Jessica Cooley at Ripon. Well done to all the winning riders and also to those placed in the series and everyone who took part. 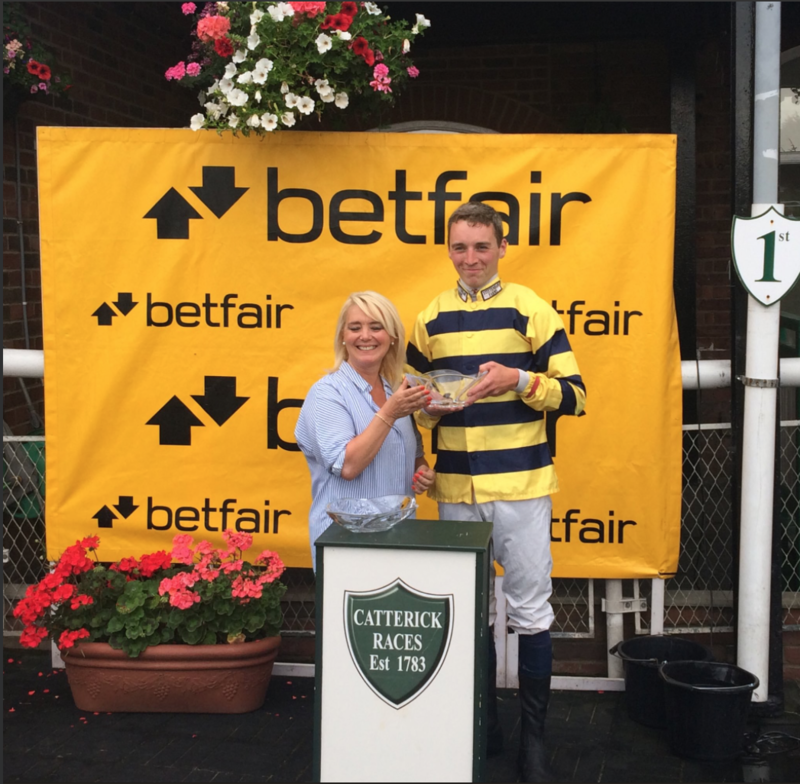 A total of 90 rides were enjoyed by 45 different jockeys across the 8 races which made up the series and we are enormously grateful to all owners, trainers, jockey coaches and racecourses as well as the sponsors BETFAIR for their wonderful support in enabling this great series to take place. Thank you one and all! 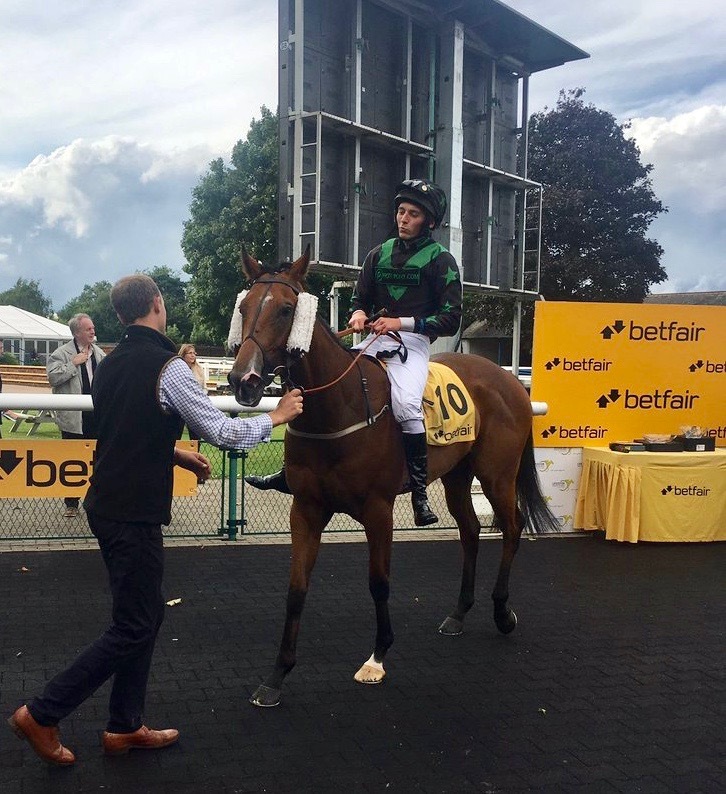 Nobody ever forgets riding their first winner and it was great to see Yorkshire’s Emma Chaston-Smith do just that (turquoise colours) aboard BREEZOLINI for Ireland’s Adrian Joyce at Hamilton on 2 September in the Bet toteplacepot At betfred.com Amateur Riders’ Handicap. 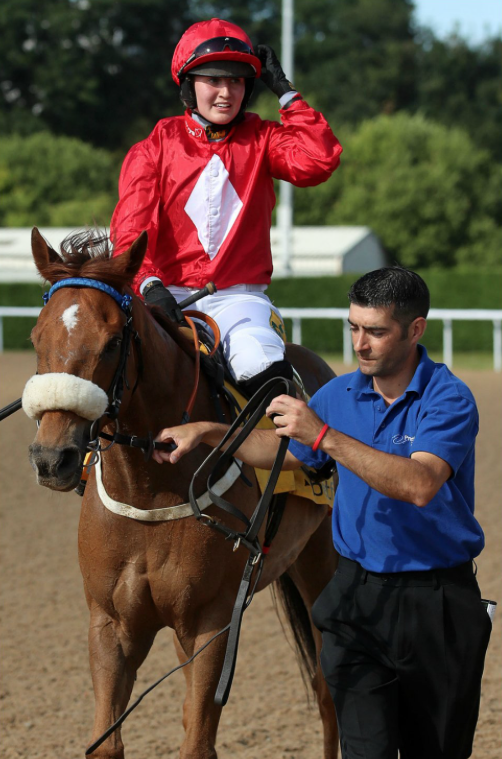 Holding her horse up on the outside of the field of 11, they made headway a couple of furlongs from home to lead inside the final furlong and run on strongly to score by 2 lengths from Catherine Walton and KNOCKAMANDY BENDS with Bruce Lynn and JEBEL TARA a head back in third. 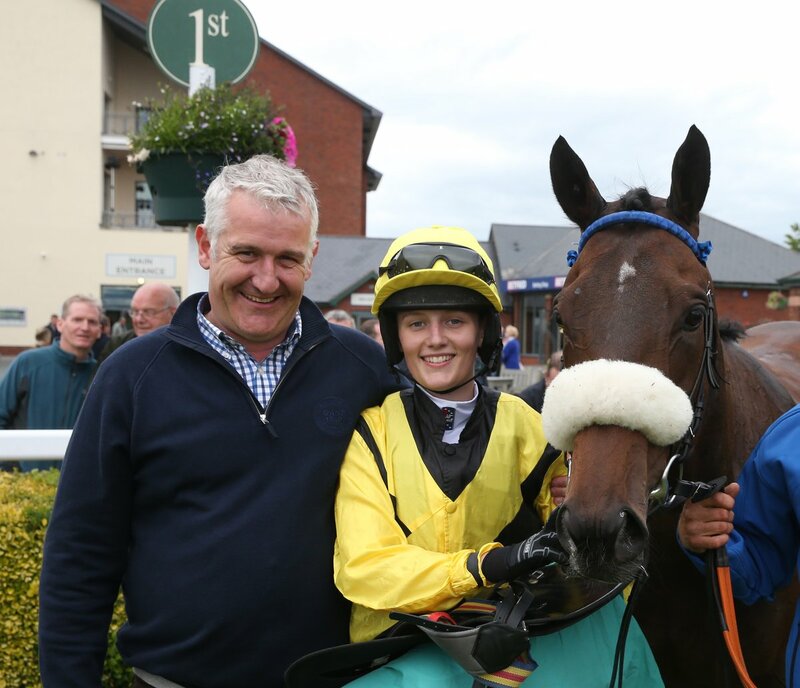 Emma is featured in this week’s Irish Field having now moved to Adrian Keatley to further her jockey career. 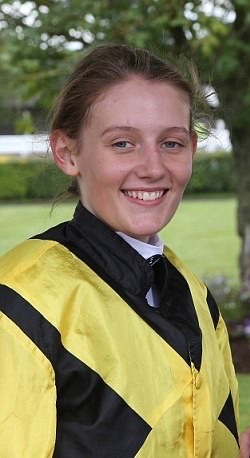 Many congratulations Emma and all the best for many more winners in the future! 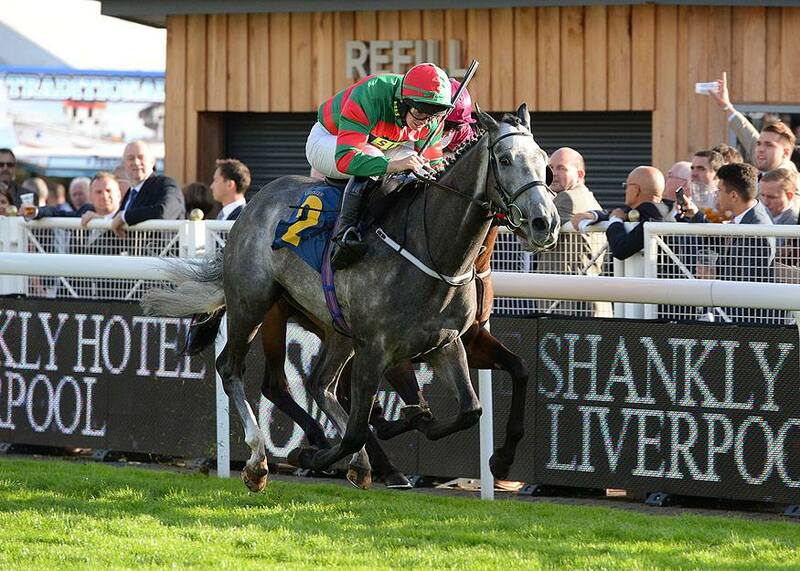 It was good to see our gentlemen amateur riders racing at Chester on Friday. especially as, due to race programming losing a day from last year, we unfortunately lost our ladies race there earlier this year. 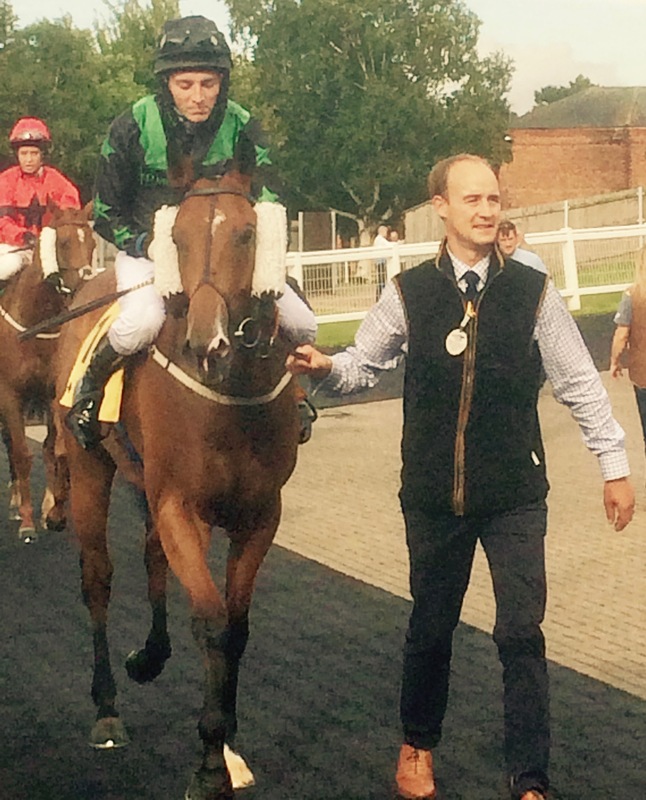 Well done to Billy Garritty who enjoyed a great win aboard DARK DEVIL for Richard Fahey. Taking up the lead two furlongs from home, Billy rode his horse out inside the final furlong for Dark Devil to respond gamely and hold on to win by half a length from Jonny Flook aboard MIA CARA for Dave Evans with Fred Tett aboard MR RED CLUBS 5 lengths back in 3rd. 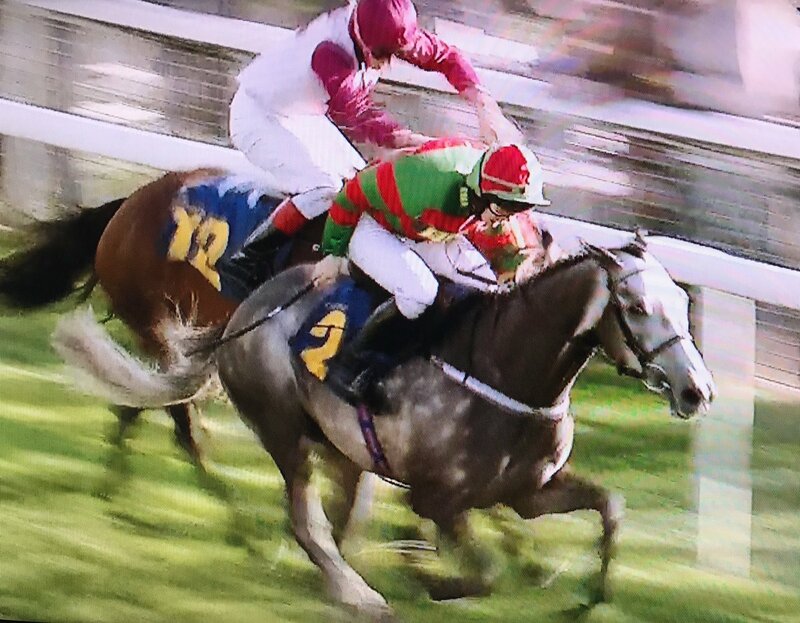 Very many thanks to Arena Racing for the introduction this summer of the Silk Series for both professional and amateur lady jockeys which consisted of 9 races held at ARC racecourses throughout the UK culminating in a finale at Doncaster yesterday. Several amateur ladies were lucky enough to secure rides against the pros which included the following placed rides: Ellie MacKenzie (2nd Lingfield, 3rd Chepstow), Elizabeth Bushe (4th Lingfield), Jodie Hughes (2nd Chepstow), Serena Brotherton (2nd Yarmouth, 3rd Brighton), Jessica Cooley (4th Yarmouth), Ella McCain (2nd Newcastle) and Carly Scott (3rd Newcastle). 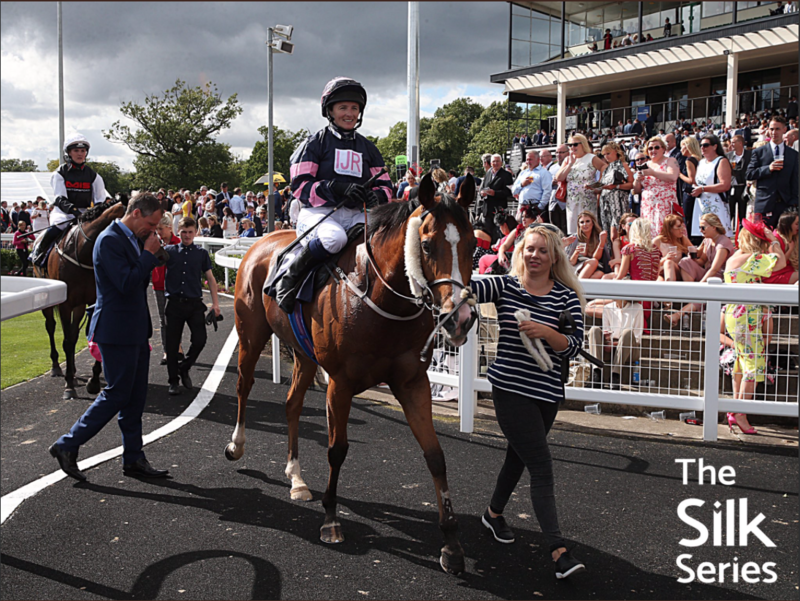 Our favourite race in the series is unquestionably Newcastle on 29th July when our triple lady champion Carol Bartley enjoyed a decisive win aboard ARCHIPELIGO for Iain Jardine with fellow amateurs Ella MacKenzie and Carly Scott 2nd and 3rd. Huge congratulations to Carol on an unforgettable win! 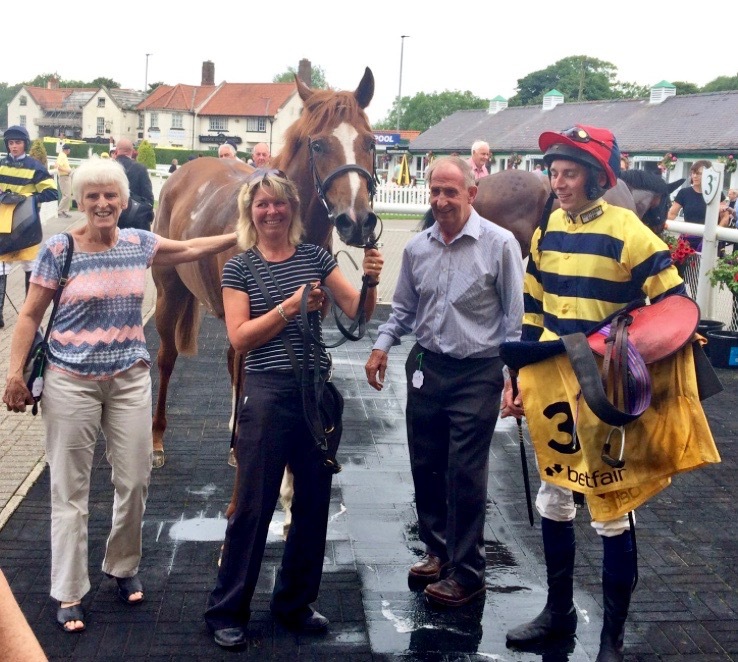 It was also good to see two of our ex-amateurs Shelley Birkett and Megan Nicholls amongst 4 ladies with a chance of winning the Tufnell Trophy at Doncaster as winning Silk Series jockeys, and many congratulations to Megan on securing this title in its inaugural year. 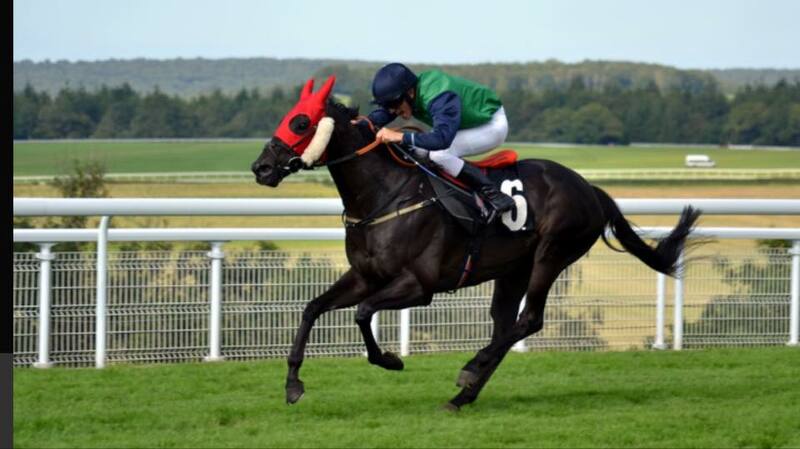 Are you a very light gentleman amateur jockey who seeks race riding opportunities abroad? An invitation has arrived for a gentleman jockey who can ride at only 9 stone to ride in Wuhan, China, at their 15th International Horse Racing Festival. 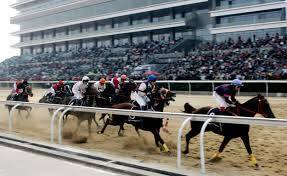 The International Invitational Race will be a 1100 metre non-handicapped and non-thoroughbred race on 21st October. All expenses will be paid for flights and accommodation as well as local transportation and meals. This is a unique and extraordinary experience to look forward to. 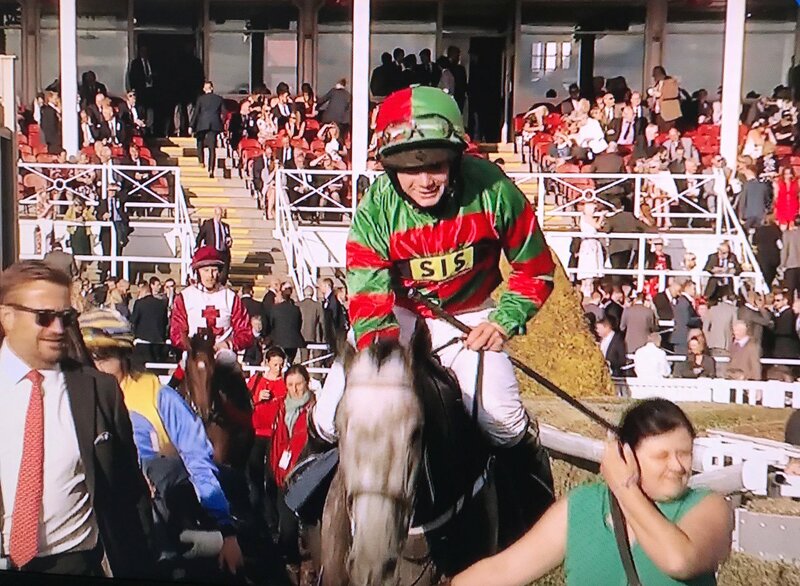 All jockeys are asked to arrive on 18th October and return on 23rd October. If you are interested and have a current passport and licence as well as no problem riding at this very light weight please e-mail sph.oliver@btinternet.com to put your name forward. Calling all jockeys! Are you thinking of buying a new body protector? Within the next 6 months (possibly end March 2018) this Rule will be phased in within the UK under BHA Rules and will become MANDATORY in about 12 months time (date details to follow) with a Rule Change. This will bring our  Rules of Racing into line with Ireland’s and help to protect jockeys from serious injury when sustaining a fall. Further details will appear as soon as details are available from the BHA. 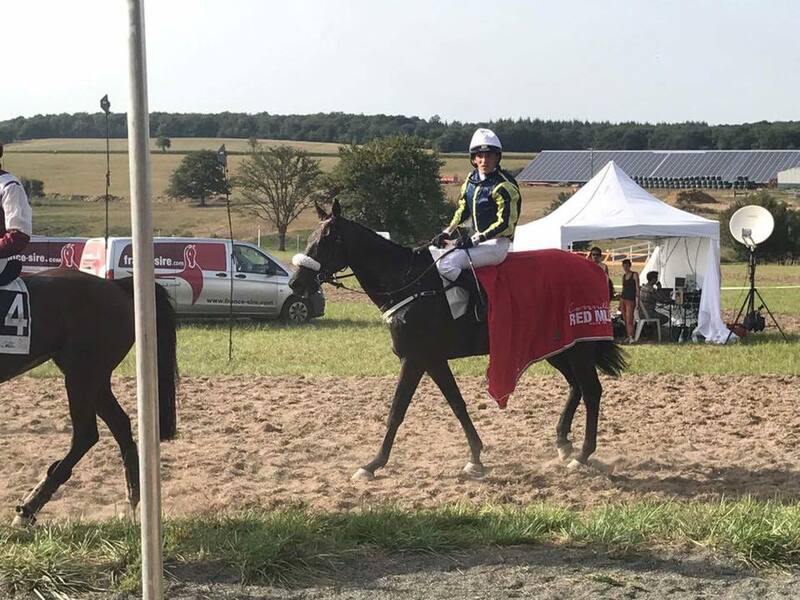 Its not very often that an amateur jockey enjoys a winning ride on 2 consecutive days, but to ride a winner on 3 consecutive days is very rare. 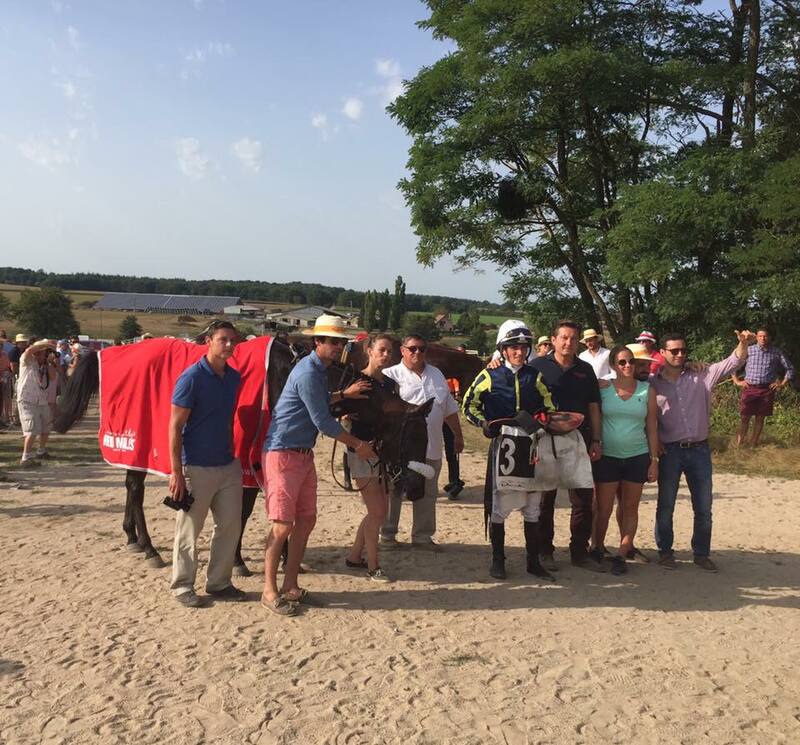 Make that 3 wins in 3 days in 3 different countries and it is extraordinary. 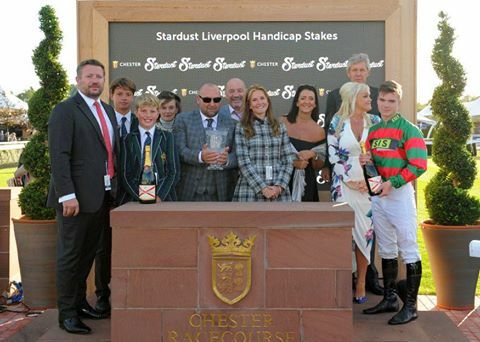 Well done also to William Easterby who rides for GB in this year’s Gentlemen’s League (against France and Ireland) and went on to win a race of his own on the same day. 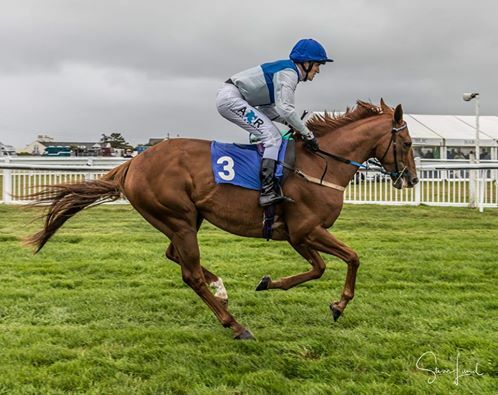 A 3 am start on Sunday morning saw Fred back in the UK in time to partner his mother’s horse MR RED CLUBS at Goodwood trained by his brother Henry and running in the Gay Kindersley memorial amateur riders’ Handicap. 11 went to post with Fred content to bide his time until about 2 furlongs out, where he wore down the leaders to pull clear inside the final furlong and win by a couple of lengths. 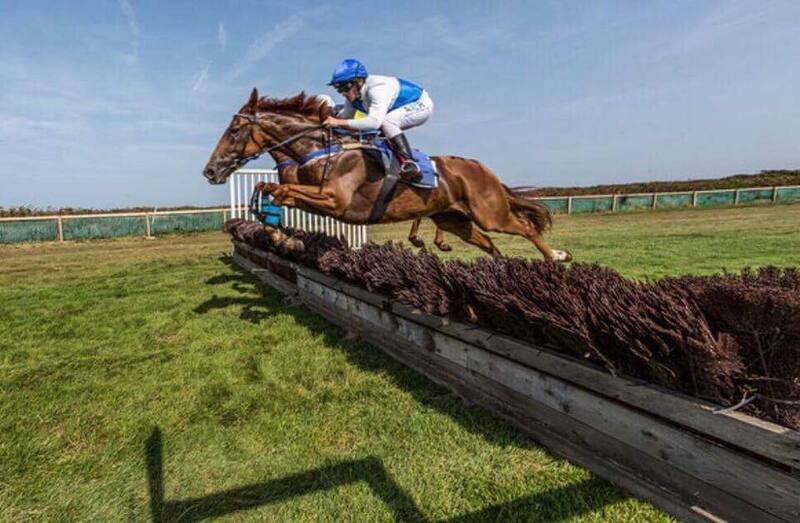 Next stop Les Landes, Jersey on Bank Holiday Monday for the first race of the day over hurdles which he duly won by 4 lengths when riding against professionals aboard BOWL IMPERIOR for local trainer Alyson Malzard. Well done Fred on a great weekend’s work and a unique achievement!